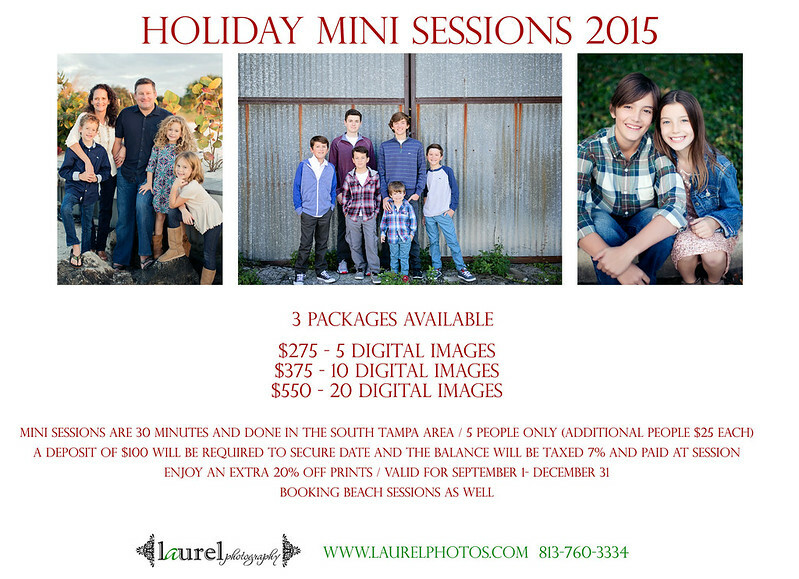 Posts with tag: "Holiday mini sessions"
My holiday mini sessions are here! Mini sessions are for those that need a few updated pictures of their family/children. If you are wanting lots of pictures in different poses and haven't had updated pictures of your family in a LONG time, then the mini session is NOT for you!!! Please, please keep this in mind! A $100 deposit will be required and the balance will be taxed 7%. I am still booking days for regular sessions. They are filling up fast. Please give me a call to book your session!